We’ve been working hard to create the ultimate speed racing and fitness inflatable paddleboard. Why inflatable? 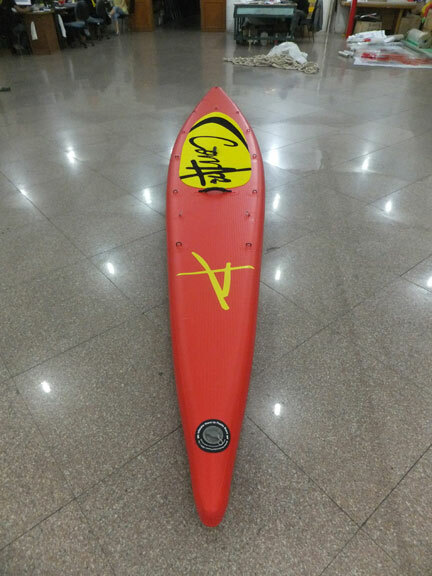 Well 17′ (ICF canoe and kayak racing standard rules) is quite long, but when it rolls up into the same size as any other paddleboard, then it makes sense to go longer for more speed and glide once its inflated. We’ve made some small adjustments to the outline, rocker and also carbon rod placement on the deck of the board to maximize glide and stiffness, and the final board is so sweet….